Happy spring! Although the first official day of spring was a week or so ago, I am still super excited about it. This winter in Seattle has been especially dreary and cold, so I'm definitely looking forward to some warmer weather. Going along with this dreary weather, I have felt so uninspired this year in terms of creativity. I've been getting caught up in school (which of course isn't a bad thing), and I've let my creative side get a little lazy. It's easy to put excuses before giving yourself a break to be creative, and to push things like writing or art to the side because they seem less important to things like homework and tests, which in a sense they are. I am first and foremost a college student, so I of course need to make my grades a priority, but I also need to relax every now and then and spend an evening doing something I love, like watercolor. When I was writing my last post, How to Succeed in College: Mental Health, it became clear that I needed a break from stressing out so much. I was writing down tips that I myself needed to listen to and apply to my life, especially because I've felt like I have hit a creative STOP SIGN lately. Anxiety and panic attacks seem to relish the times of stress and lack of creativeness in my life, so I needed to take a break. Spring cleaning has always been something I've loved. While growing up, my mom would enlist my brother, dad, and me to help her clean the entire house - we're talking scrubbing the walls, floors, and everything in between. It would be a laborious couple of days, but afterwards everything felt nice and clean, and that a fresh start was much easier to be had. Because I experienced that every year while growing up, I realized that was exactly what I needed this spring. It was spring break last week for my college, so I took the time at home to do a whole lot of nothing, besides workout, play with my family's dogs and cats, and our new puppy. 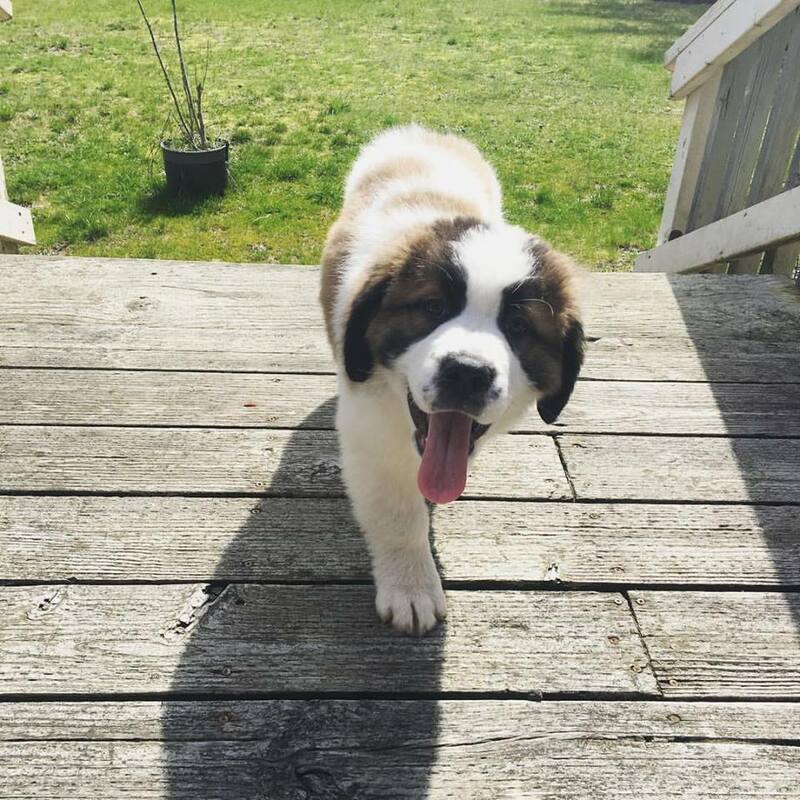 Seriously, look how cute he is!! I needed to take the week to give myself a mental break from stressing out about school, tests, law schools, finding a summer internship, and taking the LSATs in the fall. Real life can be hard, and I know that it's just going to get busier and more stressful as I get older. When you're really stressed out it's easy to only think about how hard life is and will get, and forget that it's also going to get more exciting, and more opportunities are going to present themselves to you after a lot of hard work. Last week I talked to my parents a lot since I haven't had the chance to in a while, and it was nice to forget about school for a week and just be their kid again. As a college student, I don't get that chance a lot anymore. It's funny, because the first break I spent at home during freshman year I resented that fact; I wanted to still feel like a young adult living on her own, without being a child anymore. I'm not saying that I don't like being independent; on the contrary I love it. It's just nice to be able to go home every once in a while and rely on my parents for a little bit, and just sit on the floor with my dogs, playing Pokemon, and eating fruit snacks. The world seems a lot less stressful from the floor of my parents' living room with a puppy on my lap. 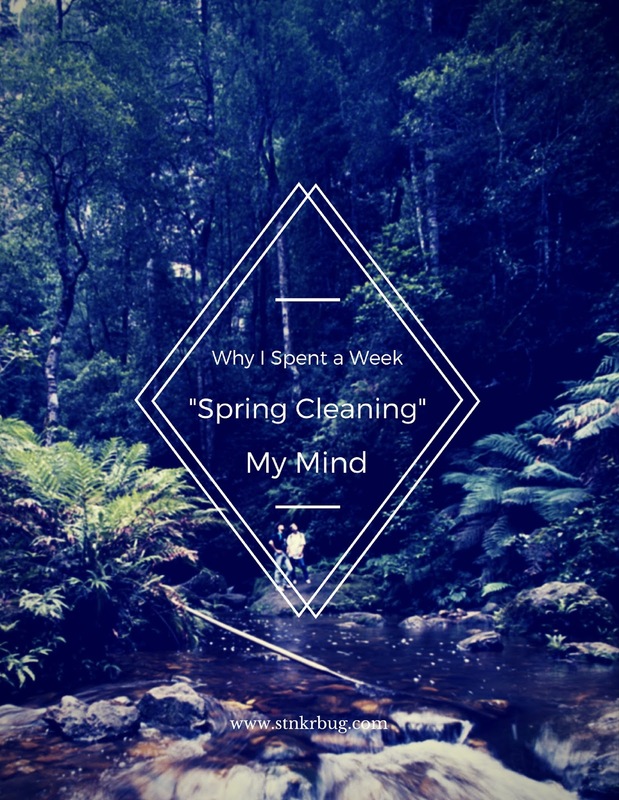 My "mental spring cleaning" really didn't entail much: I slept for 8 or more hours every night (I don't remember the last time I got to do this for a week! ), watched movies with my mom, cooked my favorite food, played with my dogs, napped with my cats (also my dog who lives his life 50% crazy energetic and 50% the laziest dog you have ever seen), worked out, ran/walked outside with my dogs on the few days it wasn't raining, and played Pokemon Moon. It really wasn't a lot, but boy did it do a lot for my mental health and sanity. I didn't think a whole lot about the more serious parts of my life, which helped me feel a lot more refreshed for the first week of the quarter. Creativity isn't something that just suddenly comes and goes on a whim, it has to be practiced and thought about a lot. Just as you have to practice other skills, it helps to try and be creative each and everyday. I've definitely let my "creative muscle" go, so I am gradually getting my groove back. I actually have more free time this quarter, so I've been trying to dedicate that time to my blog and channel, and my other creative outlets. Throughout all of the stress in my life, my blog and my YouTube channel have always been a source of great happiness and inspiration, so I owe it to myself to cultivate them more. It's so important to take these little breaks every now and then. They don't even have to be as long as a week, a day or two is just as fine, and taking even more time is great as well. However long you feel you need to take is the right amount of time, there aren't any guidelines for these things. Spring is the perfect time for growth, and hitting a small reset button on your stress; reflect on the year so far, the things that have happened, and give yourself a little break. Your outlook on life will probably be at least a little better, and your life will look a little brighter. Thank you so much for reading, I hope you are all having a wonderful day!